Love the rhinestones on the front of the purse and that red rhinestone heart on this card along with the red,kraft, white and touch of black looks great Lea!!! This is just sooo pretty! Great job! I love the simplicity of this Lea which, as you say, works perfectly with the image! The rhinestones are a gorgeous finishing touch! These are fabulous Lea! 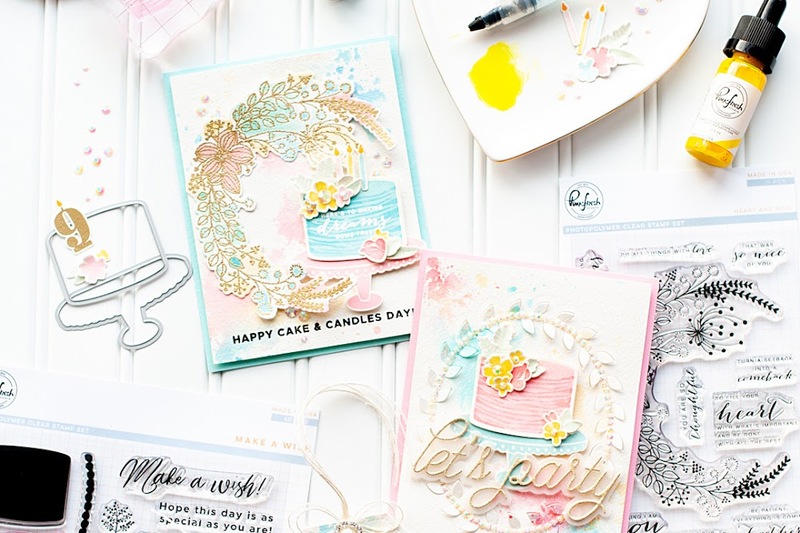 I love how the card and envie are perfectly matched and, of course, your choice of border punch was pure genius! Fabulous set, Lea! I love the added bling! It's perfect! this is absolutely BEYOND Lea, ♥ the kraft with white/red, gorgeous palette!!! I love your card. Simple and elegant. Thanks so much for choosing me. I'll be email my address to you! Lea, this is gooorgeous!!!! I love the elegant design and the little bit of bling!! 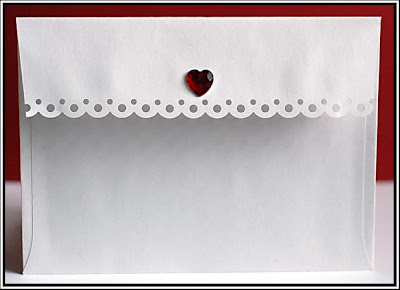 Very pretty card and envelope! I agree they were all good last night! Wow Lea! Thanks for the inspiration. 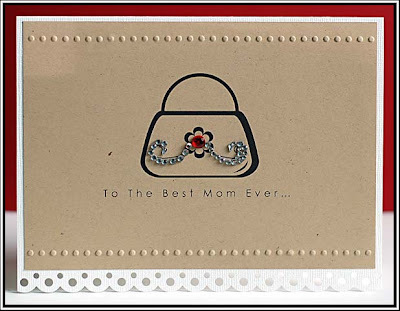 I need to start on Mother's Day cards for all my mommy friends!!!! I know what you mean about AI! I LOVE Danny....but I also Loooooove Adam! Yes, last night on AI was awesome.....I love them ALL and will be sad when they go home :( I think they should just send Adam away now with a recordng contract and we can root for Danny! He rocked it last night! 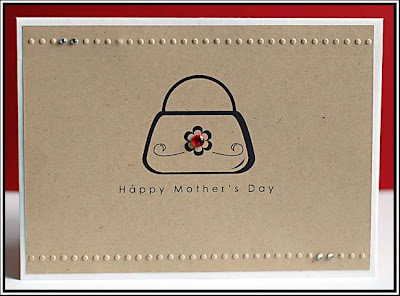 Such a simple card design but it looks absolutely fabulous!!! this is just breathtaking in it's simplicity lea! 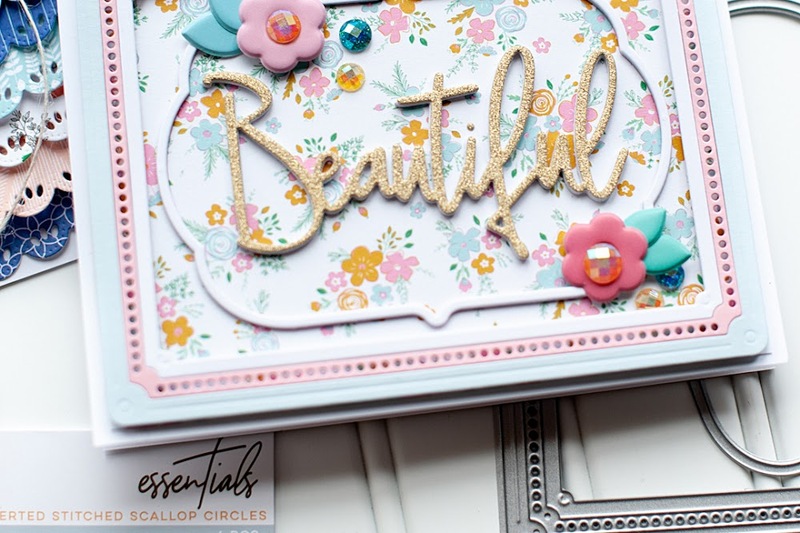 i love the kraft and the little embossed dots and just a few gems! 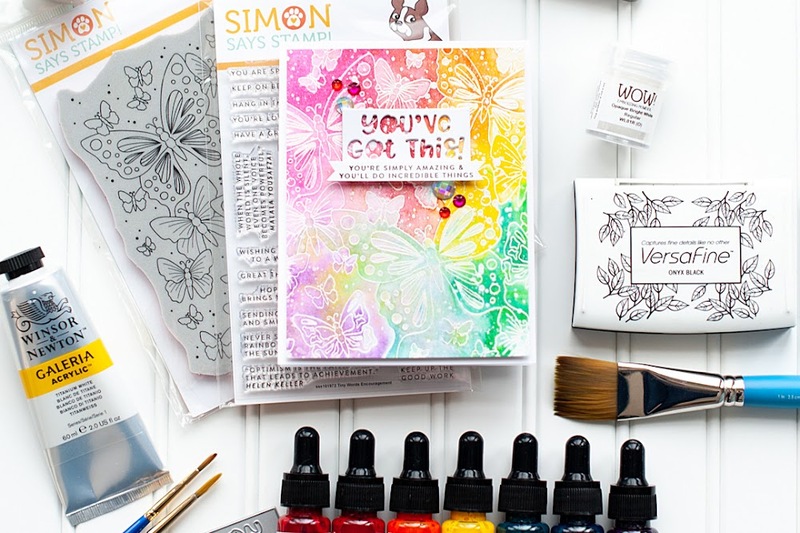 woot woot on the card kit!!! I'm emailing you now :) Thanks!!! !